Following on from the tremendously competitive school final at the end of the Year 12 course First Give in December, our victorious group representing 12C and The Trussell Trust took on four other schools to win a further £500 for the charity. Having been victorious in the JRCS final the group had already won £1000 for the charity plus the amazing food bank donations which were delivered before Christmas from the whole school action. The group made a small number of tweaks to their presentation, showing actions taken since the school final and the contact they had had with the charity. JRCS were first up and set an amazingly high standard for the other groups to follow. 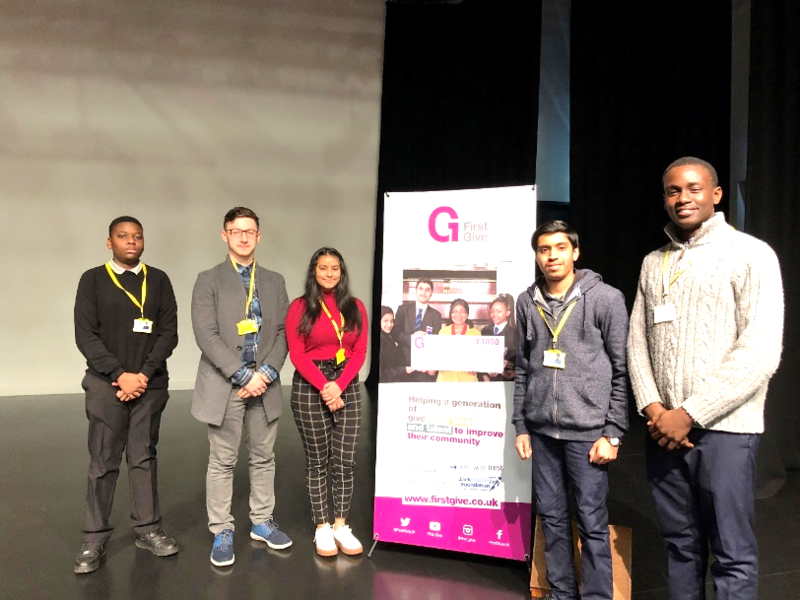 Prior to their presentation an excerpt was read out about why they thought they could win, it made everyone realise that it is possible to change a big issue by starting with themselves and a small step. The group were clear in their presentation, showed care and passion for their charity and the school action they had completed and made a compelling case for the audience to get involved with The Trussell Trust. The ending to their presentation left you in no doubt that you could make a difference. Although ultimately an extra £500 was not to be won the group did us proud, congratulations!